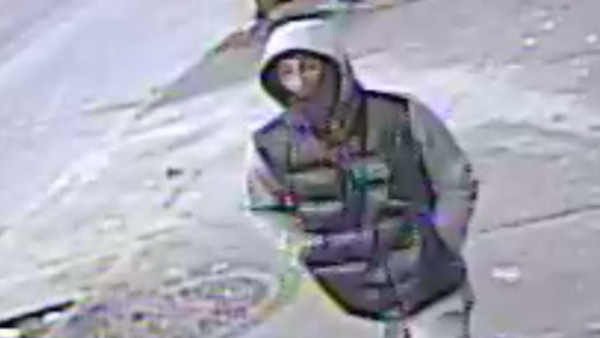 MORRISANIA, Bronx (WABC) -- Police have released a surveillance photo of a man they are looking for in connection with a fatal shooting outside a Bronx bodega. 24-year-old Desmen Muller of the Bronx was shot Monday afternoon while standing in front of the store on Union Avenue in the Morrisania section. He was pronounced dead at Lincoln Hospital. The NYPD described the man they are looking for as a male, Hispanic, light complexion, last seen wearing a gray hooded jacket, gray sweatpants, black vest and black sneakers.